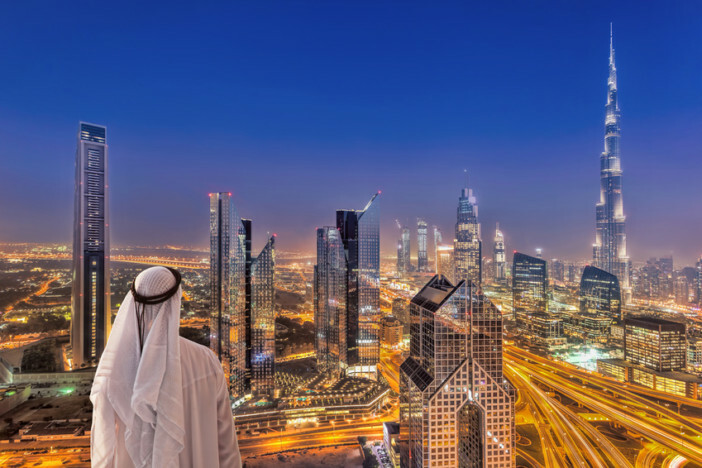 Dubai is fast becoming one of the world’s leading tourist destinations, with people flocking to the desert city to get a taste of the luxurious lifestyle of its inhabitants. With its spectacular skylines, audacious architecture and focus on style, it’s no wonder that Dubai is developing a growing reputation for glamour and indulgence. Despite all the cliché that surrounds Dubai, however, its glitz is a lot less hollow than cities like Las Vegas to which it is often compared. You’ll find no neon signs, casinos, or showgirls here, but rather a flourishing contemporary city with a rich Bedouin heritage in storytelling, song, and falconry. Dubai is the kind of place where it is easy to get dazzled by the surface, without ever discovering what lies beneath. That’s why we’ve put together this guide to the must-do tourist activities, along with some more unusual activities and suggestions on what to eat. Dubai has a variety of quintessential sights and activities that are essential during your trip if only so you can say you’ve done them when you get home. From the spectacular architecture to the city’s mega-malls, part of experiencing Dubai is indulging in the stylish modern culture that is flourishing in this sandy metropolis. When you arrive you won’t be able to miss the Burj Khalifa, reaching high into the sky like a pointy sci-fi fortress. This architectural feat is the tallest building on the planet and an iconic landmark of Dubai’s spectacular skyline. The best views, however, are to be found inside the building, looking out from its 134th-floor observation deck. Day or night, there is no better way to view the city than from the soaring height of the Burj Khalifa. When people think of Dubai it is often the glittering modern buildings that come to mind, but the beautiful Jumeirah Mosque is also worth seeing. It is the most photographed mosque in Dubai and also the only one that welcomes non-Muslim visitors six days a week. Considered one of the most beautiful structures in the city, the intricately detailed stonework and haunting luminescence of the mosque are best revealed in the moonlight. Another essential activity in Dubai is to spend a day marvelling at the city’s spectacular shopping malls. Head to The Dubai Mall if you want to see with your own eyes the spectacular shrine to entertainment that passes for a mall in Dubai. Forgo the shopping, which is more of a side attraction, to experience the delights of the indoor theme park, the giant aquarium, and catch a show at the Dubai Fountain. If you want to experience a slightly different side to Dubai than the usual tourist activities allow, it’s time to branch out and see what else this fascinating city has to offer. An amazing activity to experience is Camel Racing, which is hugely important in UEA sporting culture. 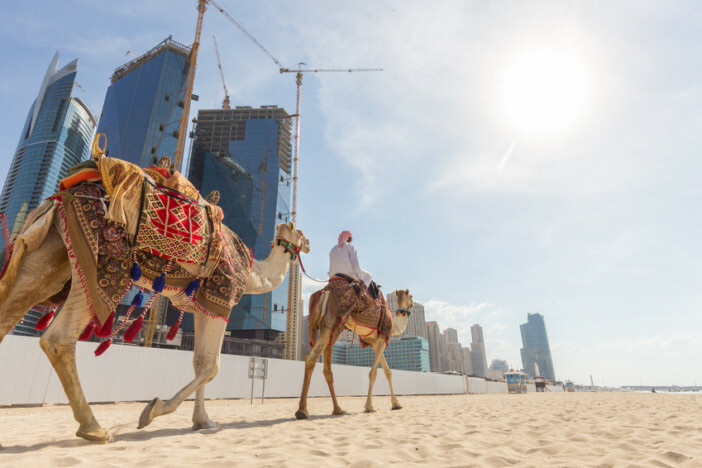 Camels have long been at the core of Emirati daily life, whether they are transporting people across the desert or providing a key source of protein on their plates. There’s no better way to experience the real Dubai than to join in the cheering as camels decked out in rainbow coloured ornaments race past at top speeds of 65 kilometres per hour! Whether you’re a coffee aficionado or you can’t tell your Nescafe from your Arabica, the Dubai Coffee Museum is a real treat. 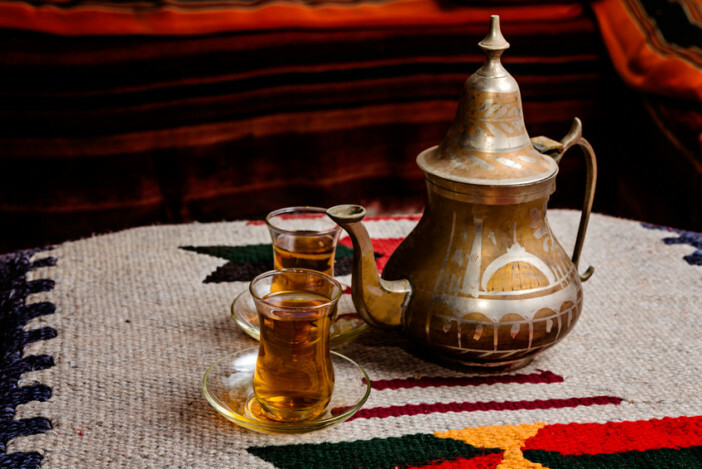 Located in the Al Fahidi Historical District, the museum has an enormous collection of coffee paraphernalia, including First World War coffee grinders made from smelted bullets and ancient brewing pots from surrounding areas like Yemen, Egypt and Ethiopia. Be sure to try some of the coffee served on site, which is brewed using the traditional Japanese siphon method and is a taste sensation. Dubai is famed for its foodie scene, with a wealth of Michelin-starred chefs opening opulent restaurants in the city. From dining in total darkness to eating at multi-starred restaurants with price tags to match, this is a city where culinary indulgence can be found around every corner. Some of the best food experiences to be found in Dubai, however, are a bit more authentically rooted in the culinary traditions of the area. Camel is an incredibly popular meat here and is served in a lot of traditional dishes. As the country is Muslim, you won’t find pork on the menus, so it’s a great opportunity to try camel meat instead, which is both delicious and cheap due to the abundance of animals in the area. One traditional dish involves the entire camel, stuffed with herbs and spices before being roasted. If camel seems like one step too adventurous for your culinary tastes, you can get an authentic taste of Dubai by sampling some delicious shawarma. It is a type of spicy meat that served in a wrap with mint sauce and salad to make a delicious kebab. This is nothing like the type of kebab you might get at your local takeaway and you definitely won’t be able to resist having more than one during your time in Dubai. Street food is super cheap, but haggling is the done thing in Dubai so don’t just accept the first price – it’s all part of the experience! 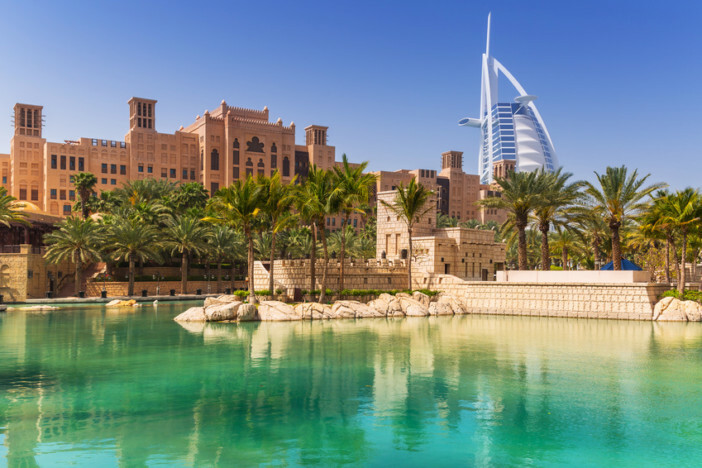 If this guide has made you want to explore the vibrant city of Dubai for yourself, why not book one of Cruise1st UK’s deals on a cruise holiday that calls there? Browse the full collection of itineraries online or call our friendly sales team on 0808 274 6777. Dubai is fast become one of the world’s leading tourist destinations, with people flocking to the desert city to get a taste of the luxurious lifestyle of its inhabitants. With its spectacular skylines, audacious architecture and focus on style, it’s no wonder that Dubai is developing a growing reputation for glamour and indulgence.